Last October 30, I lost a mentor. 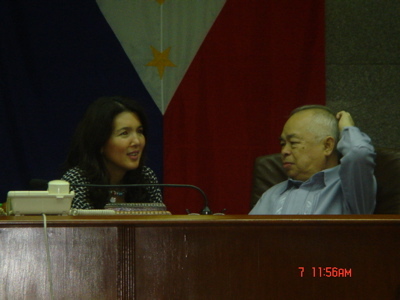 My former seatmate, mentor, and friend Senator Flavier passed away. I paid my respects, and for the last time, looked upon his smiling face. You always made me smile. So this one’s for you… for once, you are taller than me. Today, we had the necrological service for the late Senator Flavier in the Senate. At the necrological services, listening to my colleagues deliver their eulogy was very touching. Everyone recounted how wonderful a person Tito Johnny was. 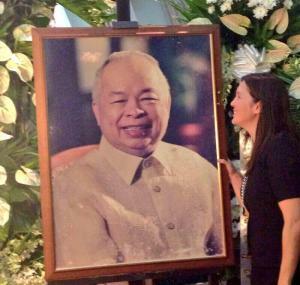 Despite the solemnity of the occasion, we erupted into laughter at anecdotes that were so classic Flavier. This is the eulogy I delivered. 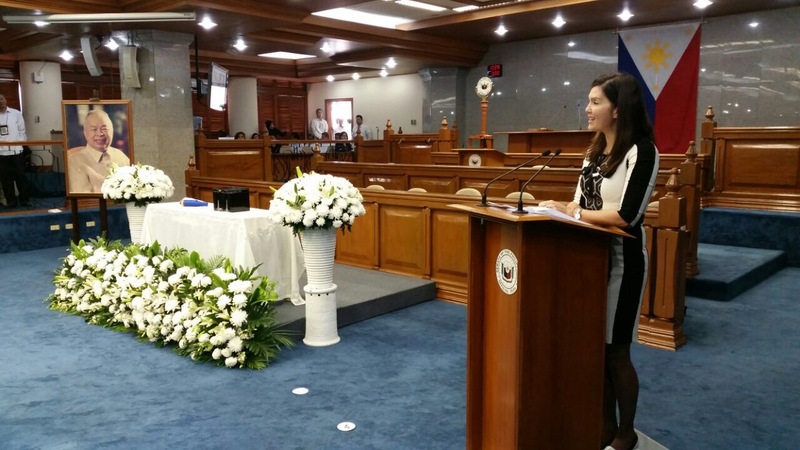 Delivering my eulogy and saying farewell to my friend and seatmate. My story starts in 2004 when I began my term as a senator. I sat in front as I still do now between the Majority Floor Leader and Senate President Pro Tempore. 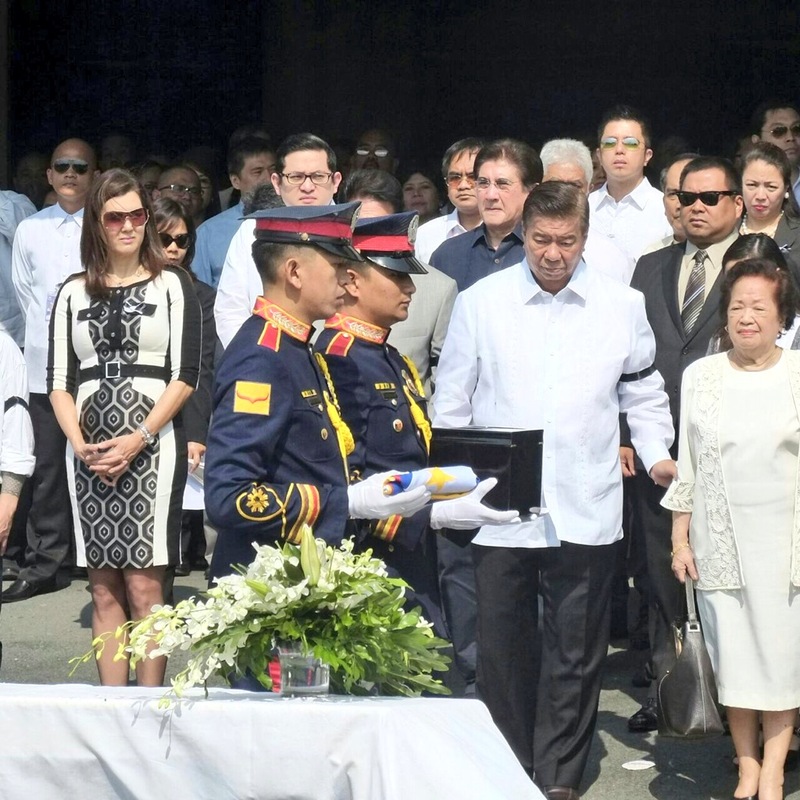 The SP Pro Tempore then was the honorable Sen. Juan Flavier, but our families’ friendship goes back to when dad and Sen. Flavier, “Tito Johnny” to me, became colleagues in the senate. In fact they both served in the Ramos administration. Senator Flavier was secretary of health, while my dad was the chief presidential legal counsel. Back then I was a private citizen, a young lawyer who already idolized this amazingly charismatic health secretary who was taking on health campaigns, that little did I know would be my very campaigns as well. 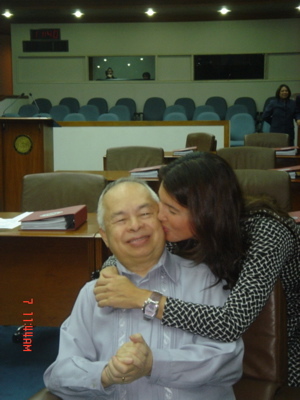 In my blog which I wrote when he retired from the senate, I said, “My seatmate is never absent nor late. He is always the first one there. When I arrive, he always greets me with a warm smile. And in return, I give him a kiss on the cheek. Then I sit down and he says, ‘How are you young lady?’ And so there I was a new senator, in need of fatherly guidance and affection. I would pour out my daily woes. He patiently nodded and listened.” I guess Senator Miriam, Senator Loren and I have the same experience in that sense. He was a father to me. But as a legislator, we complemented each other. We shared a common passion for healthcare. He was the teacher and I was the student. I had dreams and aspirations; he had wisdom and experience. I had a passion for healthcare. He had the medical degree and expertise. With the former secretary of health at my side, I faced the challenges with a positive outlook. I sponsored my first bill on the expanded vaccination program. I discussed breastfeeding at length with him. We talked about lobby groups and how, at times, they managed to block or delay key legislation. On many occasions, I would turn to him in frustration. I told him it was difficult working with some NGOs and professional groups because they wanted me, expected me, to carry their cause without taking into consideration other views, which I could not do. You had to know him to understand what he meant. He could say this because he had earned people’s respect. He could say this because people knew he didn’t mean it in an insulting way. It was just his way of putting his foot down with a bit of humor mixed in. 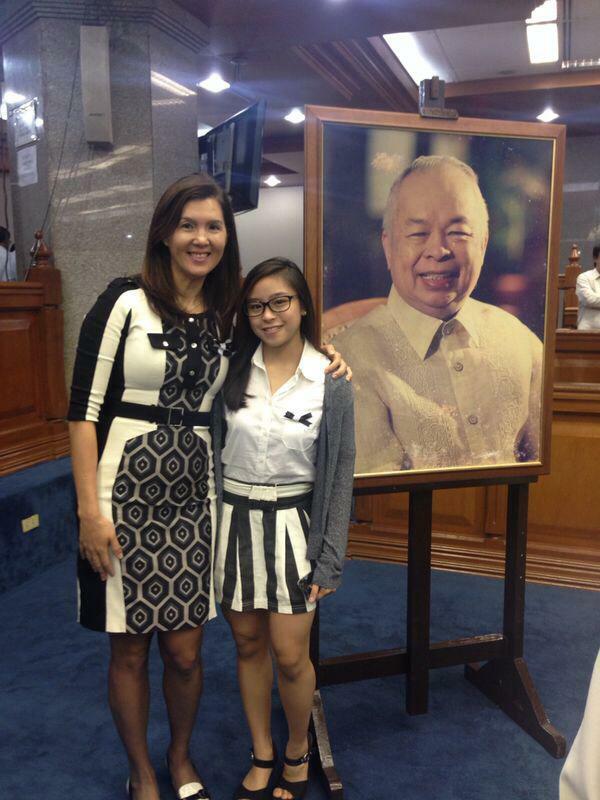 In my blog, I wrote, sometimes being in the senate was like being in school. We have a school bell that rings and tells us it’s time to come in. Having been one of only four women senators in 2004, it was common for me to be the subject of my male colleagues’ jokes and friendly ribbing. Senator Flavier was my defender. 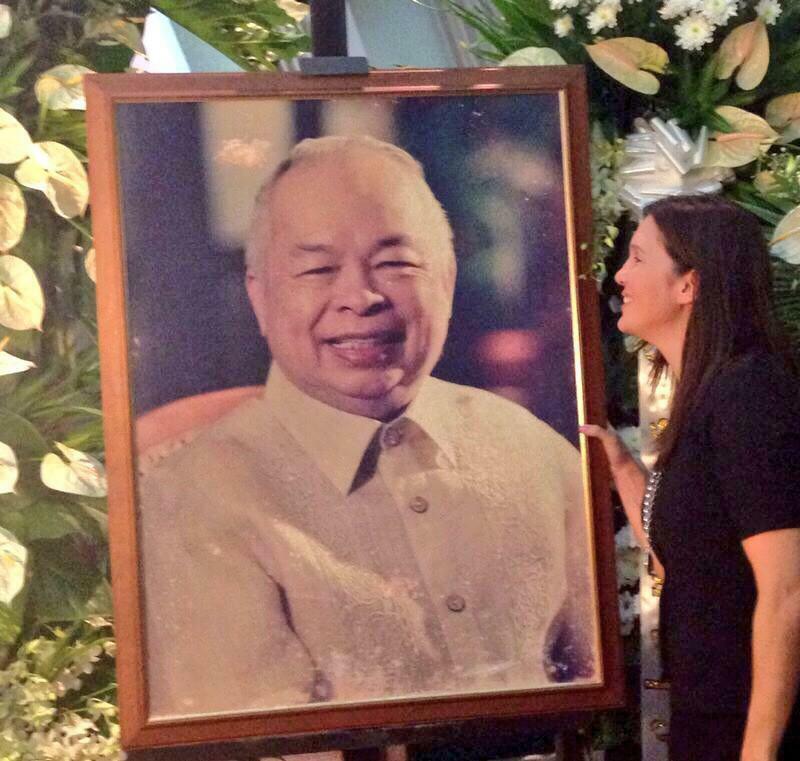 This man, small in stature, was my protector, just as he was the protector of millions of Filipinos. On the senate floor, he tempered my dreams and aspirations with his wisdom and experience. I was impatient; he knew there was a time for everything. His patience paid off. Two decades after his ‘Yosi Kadiri’ campaign, after I sponsored and defended the Tobacco Graphic Health Warning bill in three congresses, throughout 2007 and 2014, with the help of our Senate President Frank Drilon, it became a law. The same can be said for the Reproductive Health (RH) Law. He was a strong advocate of family planning when he was President Ramos’ secretary of health. 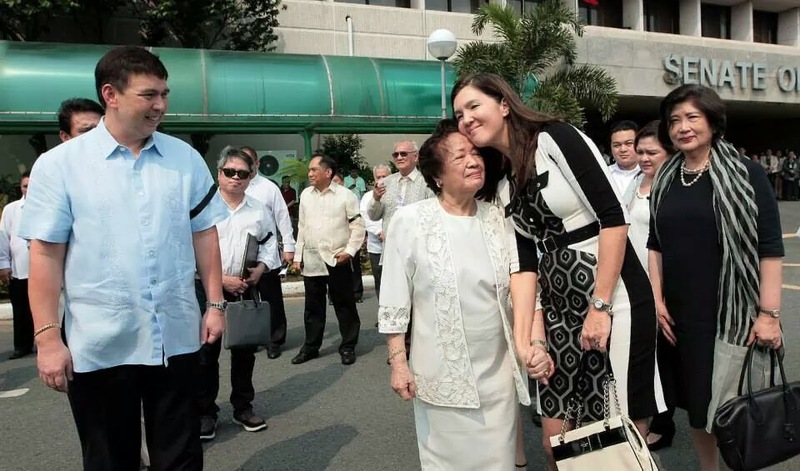 After conducting my first hearing and a series of consultations on RH at the start of my term in the 13th Congress, I asked for his advice on how to proceed. I had my doubts if the timing was right because aside from the resistance of some sectors, then President GMA was vocal about her opposition. His advice to me: Watch and observe. “See if it makes progress in the Lower House. Take it from there.” It was the advice I needed to hear at that time. Two congresses later, its time had come. We had a new President who was pro-RH. Both houses of Congress had outspoken members ready to champion its cause. NGOs and advocates and the advent of social media allowed more discussions and created a better understanding of the issues. And although he was not in the Senate when two of these very hardly fought health bills – Tobacco Graphic Health Warning RH, and if I could include, also the amended Sin Tax Bill – were passed, he provided the foundation, and should forever be a part of the legislative history of these laws. Sitting next to me, I knew what my seatmate was up to all the time. In between debates and administrative functions, he would be writing. Wondering what it was he was always writing, I asked. At times he would be making changes in his long and never-ending biography, but other times, he would be sending a personal handwritten response to all the letters he received. If he was not sitting next to me, he was up on the podium as presiding officer. And although it has been seven years since he has been on the senate floor, I can still see him sitting there. At the end of session, he would say with much enthusiasm, “Session will resume at such and such time, at 3 pm, SHARP!” That was Sen. Flavier’s ending for every session day that he presided. For the Filipino people, he was the charismatic doctor to the barrios, the energetic, fearless secretary and senator known for his “Let’s DOH it” attitude. Tita Susan, Jondi, Johnet, James and Joy, thank you for sharing this great man with us. He will be missed but never forgotten.